I am always in the lookout for parts that when added together make something awesome. It takes me a while to walk the isle of Home Depot. I love looking at new stuff. I like the industrial look, I like the vintage bulb, and I think I like the copper. I think I would even like it if it was black. I do not love $138.00 for the light. In HD I spotted this for just under $5.00. 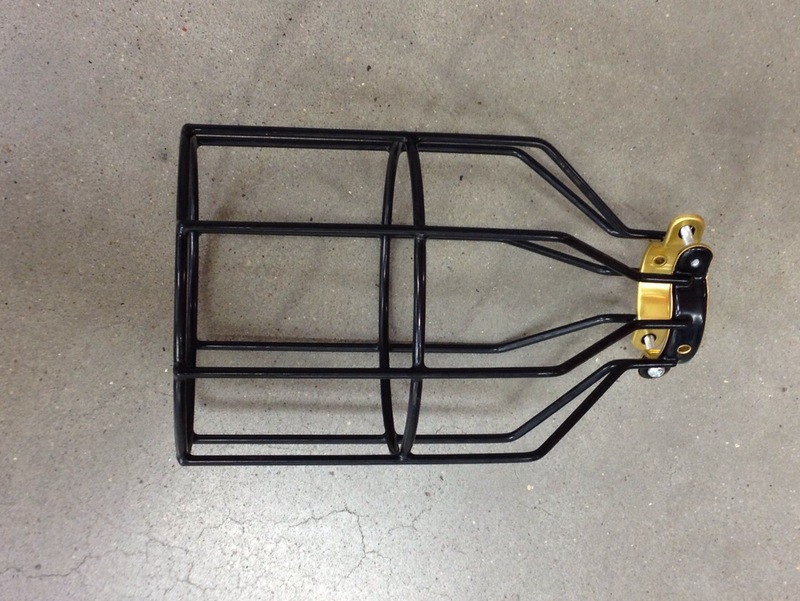 Immediately I could see how easy this could become a pendant light. 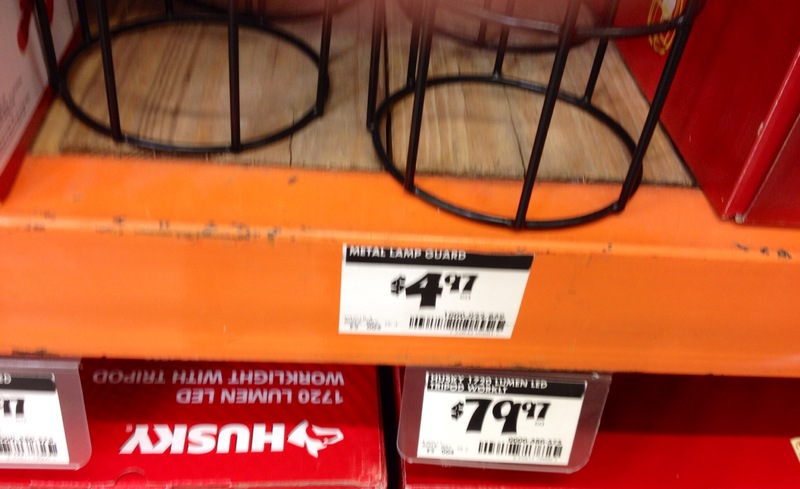 In the real world I would buy an ugly lamp for less than $5.00 to take apart for my own lamp kit, but for those of you who want to buy a lamp kit they have them at Home Depot. 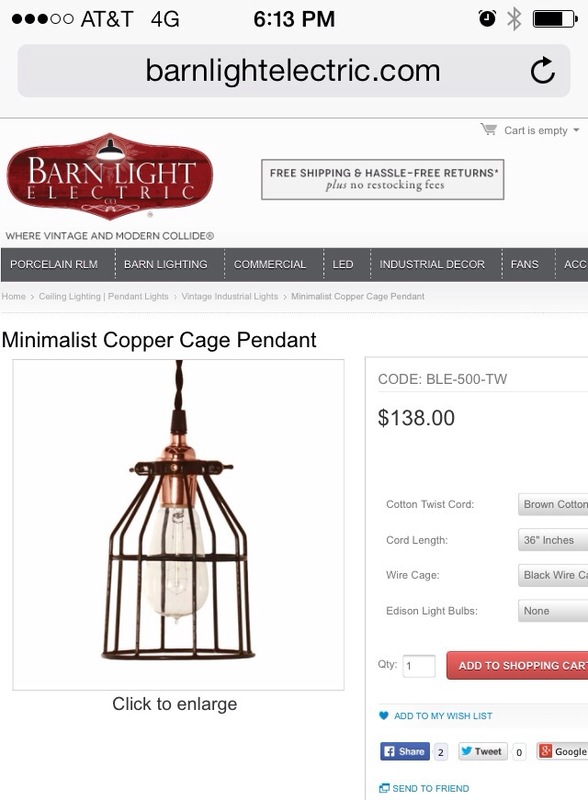 The $138.00 lamp does not come with a bulb but in case you are wondering, they carry them for about $10.00 each. 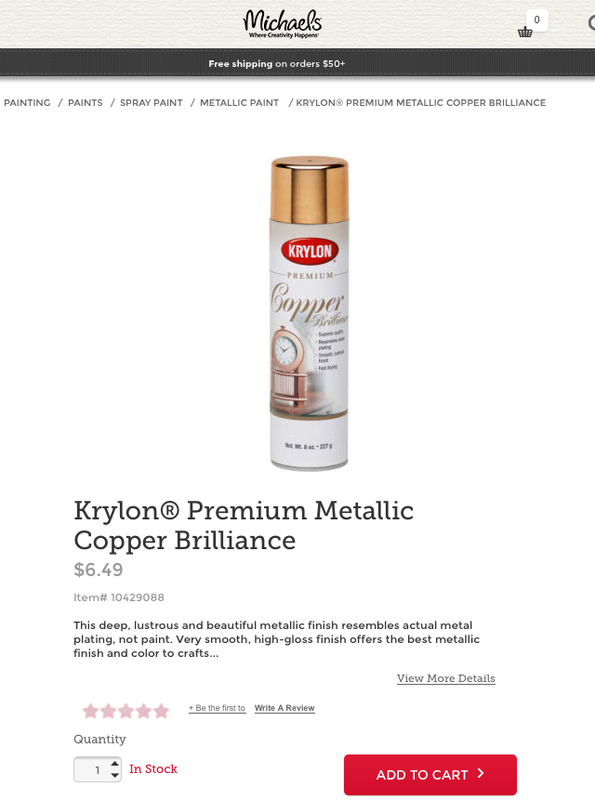 Krylon has a copper spray paint that I like. This would be a super simple project to do. See the cool things you find when you take your time at Home Depot?